16 year-old Native American, Fredricka ‘Fred’ Oday resides on the reservation and has been approached by the coach of the Lone Butte High boys varsity golf team to join; it is her opportunity to hopefully obtain a scholarship to attend university, something no-one in her family has ever done and you can’t help but read along in the hope she succeeds. Joining the boys’ team didn’t come without problems; she isn’t instantly accepted, is ridiculed and treated badly by the team including rich, golden boy Ryan Berenger and his best friend Seth who was kicked off so Fred could take his place. The storyline was interesting but nothing fresh and I didn’t connect with any of the characters unfortunately, I found the romance to be bland, I didn’t see the appeal or connection between Fred and Ryan, what started off as disdain pretty much instantaneously went to them being attracted to each other and with a few misunderstandings and side relationships for both, I didn’t feel the chemistry. I am clueless when it comes to golf but I found this aspect to be interesting, Ms. Fichera certainly knows the sport and wrote it in a way which was enjoyable. Hooked contained a lot of drama as well as bullying; I would have loved Fred to stand up for herself and show emotion and it took a while before Ryan actually responded to how she was treated; I would have liked more of an emotional response rather than just letting it all go. This was a decent read, although I didn't enjoy it as much as I thought I would. I went into this sporting story in the hopes of finding another ‘Catching Jordan’ but unfortunately with the lackluster characters my expectations weren’t met. 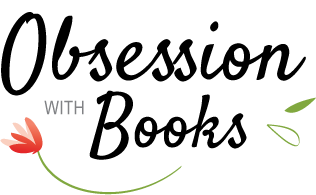 Overall, Hooked is a story about self discovery, overcoming hardships and developing a sense of self. Ms Fichera’s writing flowed well and for a YA debut novel it was a nice start, it’s companion novel Played will be released in 2014. 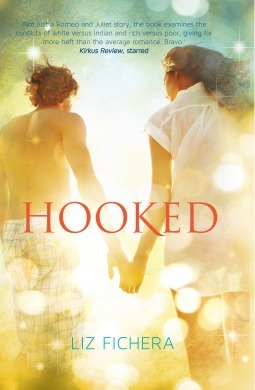 Thank-you to Harlequin Teen Australia for the opportunity to read and review Hooked. I've heard just meh things for this book as well. The synopsis did kind of remind me of Catching Jordan as well, but the reviews I've seen for it are quite similar to yours. The romance and plot don't stand out much and it's just okay. I'm glad the author made golf fun to read about though! Thanks for the great review, Sharon! I've heard meh things about this book so far. However I had some big problems with Catching Jordan so I'm hoping I'll at least like Hooked more. Better luck with your next read! When I saw that cover, I thought it was a paranormal book. I'm sorry this didn't work out for you completely, Sharon. I would be disappointed with the lack of chemistry between the characters. And I can see why you didn't see the appeal in Ryan since he treated her badly as well at first. At least the golf aspect is written well. I really like the cover but it doesn't match the story at all unfortunately. I've been seeing Hooked around a lot, but yours is the first review I've read. I love the cover, and the synopsis appeals to me. The lack of connection to the characters would not make me a happy reader. I really liked the synopsis & love the cover but I need to connect to the characters. I haven't really read any reviews either, just sort of "heard" it was a mediocre book - you were very fair with it! It does seem like some of these high school/sporty romances after Stealing Parker are getting very similar, doesn't it? I completely agree, unfortunately there is nothing fresh and new. I'm not a fan of golf ;) but this aspect was written well. I love the cover, but not connecting can be tough. Awesome review! Sorry you didn't connect with the charcters, I really liked the cover and the blurb.